Actually let’s stop right there. No need to add to the mental load we’re already carrying – this is a practical article on how to deal with everything that we’re facing. This month, let’s take the opportunity to pay close attention to our mental health and well-being. Let’s give ourselves permission to switch off, to rest and relax. Now I know how hard that can be. It may also feel like the very last thing we should be doing. After all, we need to be taking action right? More action, more quickly, right now! First we need to make sure we are aligned to the best course of action. When we are calm and relaxed (in a parasympathetic nervous system state), we are best placed to think clearly, see more solutions and select the appropriate option. When stressed (in a sympathetic nervous system state), we are not. Learning how to effectively manage our stress is actually one of the most productive thing we can take action on. Done collectively, this will help us to better navigate our turbulent times. The initial problem we face is that most of us use the wrong word to explain how we’re feeling. So we first need to understand the demands upon us as it is through experiencing these demands that we start to feel pressure. For most of life’s activities, a certain amount of ‘pressure’ is good for us. This is ‘eustress’ – the positive experience of pressure. When pressure increases, our performance improves. It helps us achieve our targets, meet deadlines and manage our priorities. It takes us out of our comfort zone and into stretch, where we then feel good about ourselves, gain a sense of achievement, of learning and progress. 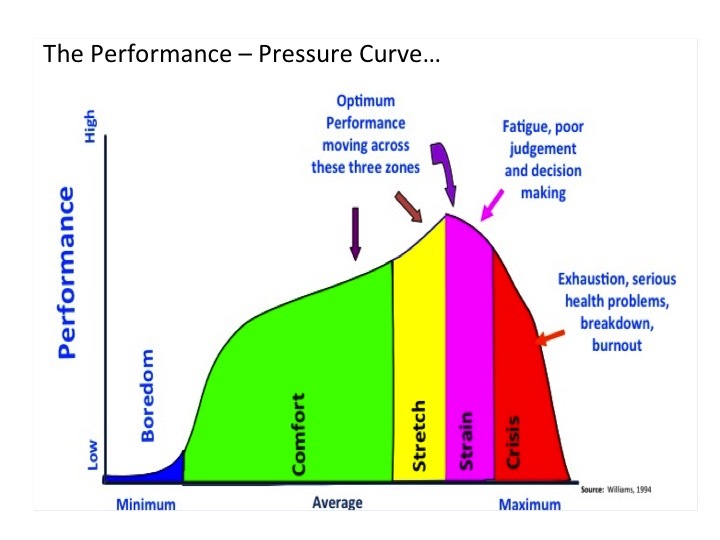 Peak performance is driven by an oscillation between periods of intense pressure and periods of recovery. This can be best shown in the diagram below. We need a certain amount of pressure in our lives to thrive. Pressure helps us to push ourselves to achieve our potential. But we need to recognise when positive pressure has shifted us into a place of strain rather than stretch. This is when we experience distress (what we call stress) – the negative experience of pressure. Do you know when you’ve shifted out of ‘stretch’ into ‘strain’? Not sure? Then you need to start tuning into your own signs and responses to mounting pressure so that you build awareness of how stress manifests itself in you. Identify the early warning signs that you are getting stressed. These will be different for different people and can change over time. Tip: The earliest sign you identify probably isn’t the very first sign that you are starting to feel the pressure. Ask someone who knows you very well (either in work, at home, or both) and see what they identify. Don’t let your passion for creating positive change in the world become a barrier to your self care. We all need to learn to down tools, switch off and relax every day. How can you build more relaxation into your daily life? 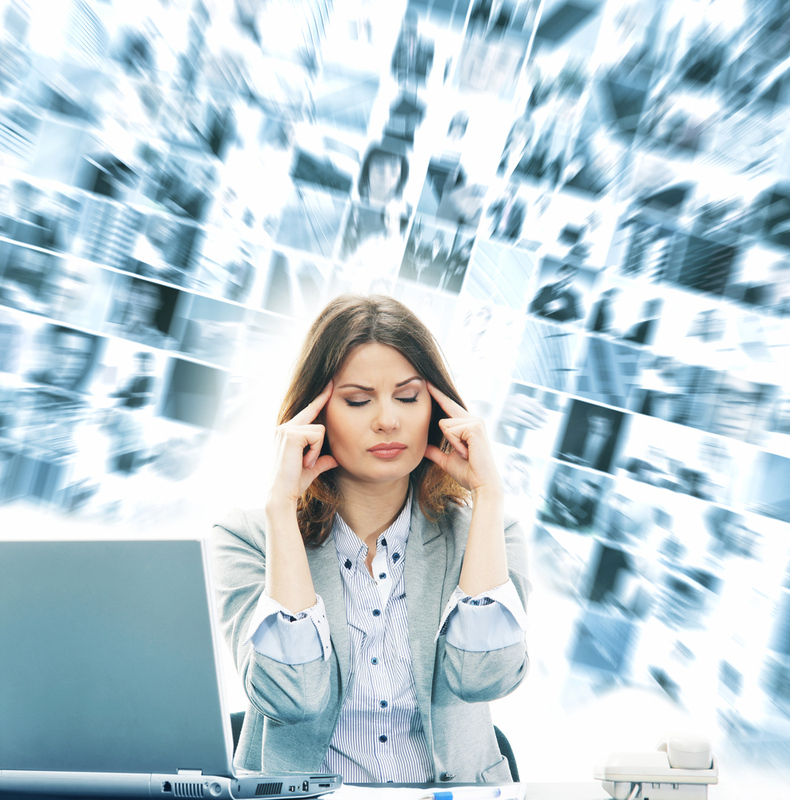 We’ll be sharing practical stress reduction techniques and ‘top tips’ in the next article of this series as part of April’s National Stress Awareness month.